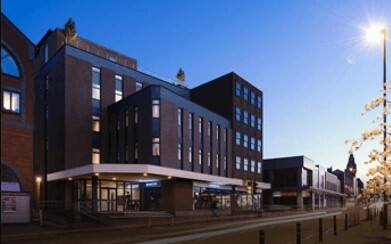 The Copperbox is a 5-storey refurbishment residential scheme on Harborne High Street. The scheme will comprise the strip out of the existing office building and create 55 apartments, alongside with an extension above the 4th floor forming 8 further apartments, and associated infrastructure. The project will be procured via an amended JCT 2016 Design and Build contract with Practical Completion due November 2018.